Like any Aviation Geek (#AvGeek), I love a great livery, and Qantas Airlines latest flying art series does not disappoint! It is in acknowledgement of Aboriginal and Torres Strait Australia. 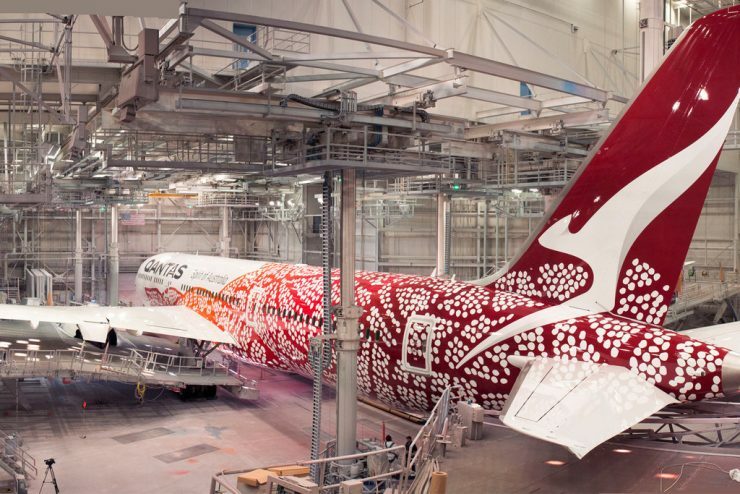 The Dreamliner Emily Kame Kngwarreye is the 5th aircraft in Qantas Airlines Flying Art series. The series has been previously adorned 737’s and 747’s, so its nice to see Qantas rolling out their flagship 787 in a special livery. I think a lot of folks enjoy unique liveries. We’ve seen some pretty cool Star Wars ones from ANA for example. But I think when the livery also highlights values or heritage of a particular country or destination, its more meaningful, like the Flying Honu livery ANA announced. Qantas’ focus on aboriginal and Torres Strait Islander culture is particularly remarkable, not just in the beauty of the liveries, but also in the story that they tell.